I am sorry to be emailing you again so soon after last reaching out, but I wanted to take this opportunity to provide you with the following update on the work ShelterBox and Rotary are doing together in Indonesia. 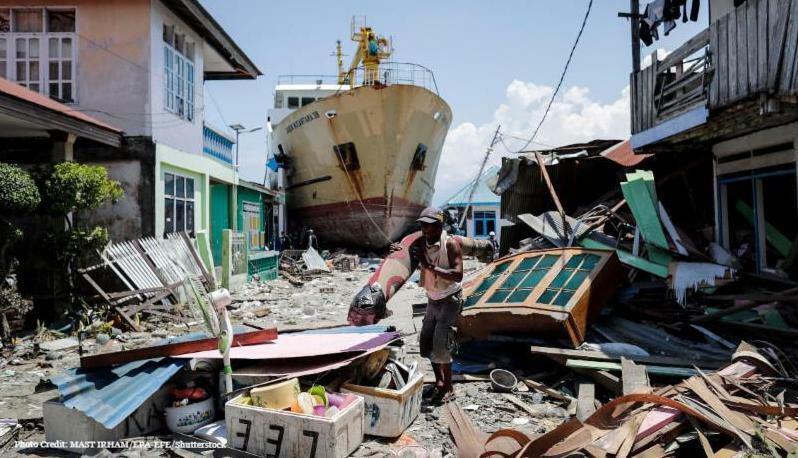 On Friday 28 September, the people of Sulawesi looked on in horror as giant waves crashed onto their shores. First the island was hit by a 7.5 magnitude earthquake. Then a tsunami tore through the region, flattening everything in its path and turning thousands of homes to rubble. Families have been left devastated as they struggle with the catastrophic aftermath. Thousands are still searching for lost family members, whilst also enduring landslides and power outages. The disaster has caused the displacement of around 66,000 people and the death of 1,400, and these numbers are expected to rise. ShelterBox already has a Response Team in Lombok, Indonesia following the August 6.9 magnitude earthquake which left 20,000 people homeless. Our team has been in-country for the last month helping families recover from that event. We are now sending a second Response Team to Indonesia to understand how we might be able to help Sulawesi families who have lost everything. We are in contact with the Indonesian government, the disaster management organizations, and our Rotary colleagues in Indonesia to understand how we might be able to help Sulawesi families. We have aid stored nearby in Malaysia and we are working with our contacts to understand any importation restrictions, and how we might be able to get it in to Indonesia and to the families who may need it. As official Project Partners, Rotary and ShelterBox work together to ensure no family is left without shelter after disasters. We are proud to be a Rotary International Project Partner, further strengthening a global circle of friendship. You can also feel free to reach out to me or local ShelterBox Ambassadors if you have questions or need any other assistance. In August, multiple massive earthquakes in Lombok, Indonesia killed hundreds of people and made hundreds of thousands homeless. Together with Rotary, our teams in Indonesia have now distributed ShelterBoxes to 658 households and conducted training alongside these distributions. We have also distributed and set up 14 tents to replace maternity and post-natal clinics destroyed by the earthquakes. The partnership between Rotary and ShelterBox fuels our mission and makes our work possible.